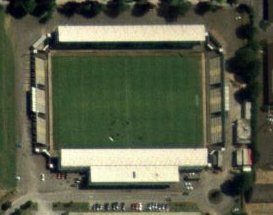 Take an aerial tour around Huish Park (requires Google Earth). All of the Premiership, Championship and League grounds are viewable here. You can also go on a tour which travels from each Premiership ground to the next. Away fans are located in the Copse Road terrace at one end of the ground. Usual ticket allocation is up to 1750. A few additional seats are given to away supporters in the AgustaWestland Community Stand. Take the M3 and the A303 until the Cartgate roundabout, junction with A3088 sign-posted for Yeovil. At first roundabout take the first exit along Bunford Lane, go straight over the next roundabout and take the first exit again the western avenue roundabout into Lufton Way. Take the A30 into Yeovil until the Kingston roundabout, and then follow signs for Taunton (A358) along Preston road to roundabout at Western Avenue. Take the A30 into Yeovil at the first Roundabout, in West Coker road take the first exit. At the bottom of the hill, take the first exit again at the roundabout, the second exit at the following roundabout and then straight over the next. This will lead you to the western avenue roundabout. Take the first exit at this roundabout into Lufton way and the stadium is on the right hand side. Take the A303 to the Cartgate Roundabout and take junction A3088 sign-posted for Yeovil. At the first Roundabout, take the first exit along Bunford lane, go straight over the next Roundabout and take the first exit again at the Western Avenue Roundabout into Lufton Way, the Main Entrance to the Stadium is on the right. 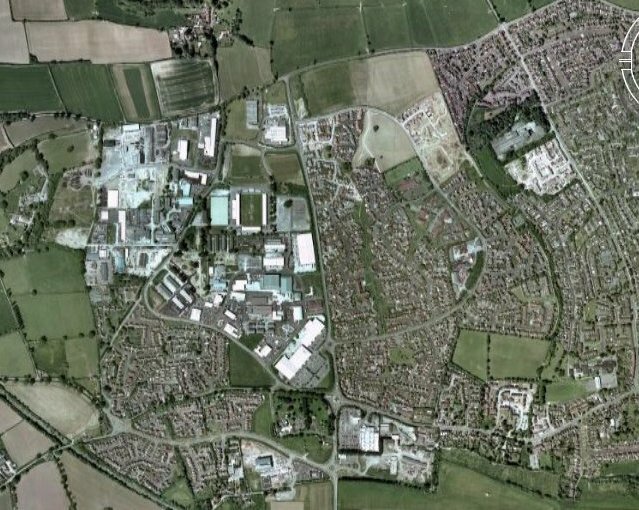 The nearest train station to Huish Park is Pen Mill junction which is about a mile from the town centre on the oppsoite side of town to the ground. There is a bus service to the ground from here. Buy train tickets online through MyTrainTicket.co.uk and save up to 80% on the price of the ticket. Nice roomy bedrooms, comfy surroundings and friendly service � from only �29 per room (not per guest) per night. Licensed bars and restaurants in or adjoining every hotel, serving good food and drink at a reasonable price. An eat-as-much-as-you-like hot or continental breakfast served in every hotel. Under-16s stay and eat breakfast free. Up to two children and two adults can sleep in our spacious family rooms at no extra cost. 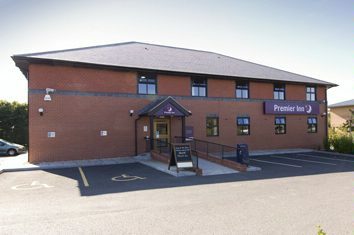 One of the UK�s leading online accommodation specialists, offering access to a huge range of hotel rooms across the UK with regular savings of up to 70% off the normal room rate. There's a reasonable car park at the ground which costs �2. There's also plenty of on street parking near to the ground. ParkatmyHouse.com is a brand new and innovative service which aims to provide affordable and fine -free parking by enabling property-owners to rent out their empty driveways, garages, car parks etc to drivers needing somewhere to park. Travelling football fans can arrange to use a property-owner�s space on a one-off or regular, short-term or long-term basis. Underground and garage spaces offer drivers the added benefits of shelter and security for their vehicles. 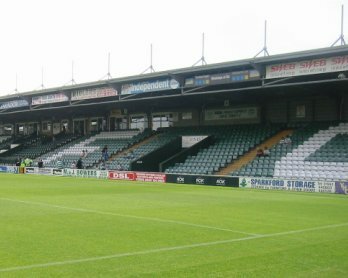 Email us to recommend any local attractions near to Huish Park and we will list them here. The Bell on Preston Road has been recommended for away fans. 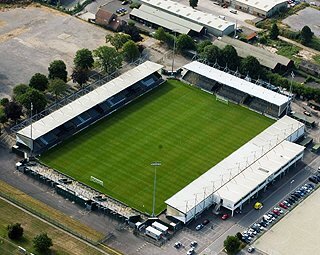 Email us to recommend any pubs and restaurants near to the Huish Park and we will list them here.